Wednesday on the NewsHour, French President Emmanuel Macron sets an ambitious timeline for rebuilding Notre Dame after a devastating fire. Plus: Nick Schifrin talks to National Security Advisor John Bolton about U.S. policy on Cuba, Venezuela and North Korea, remembering Columbine 20 years later, U.S. drone missions over Niger, the risks of booming Antarctic tourism and a legendary comic pair. Tuesday on the NewsHour, a fire at Paris' Notre Dame Cathedral is out, but devastation remains. Plus: A rare interview with Russian businessman and reported Putin ally Oleg Deripaska, how climate change is changing life in the African Sahel, a medical delivery breakthrough in Rwanda, David Brooks on emerging from loneliness, gardening with an acclaimed landscape designer and pets of the homeless. Monday on the NewsHour, fire engulfs the historic Notre Dame Cathedral in Paris. 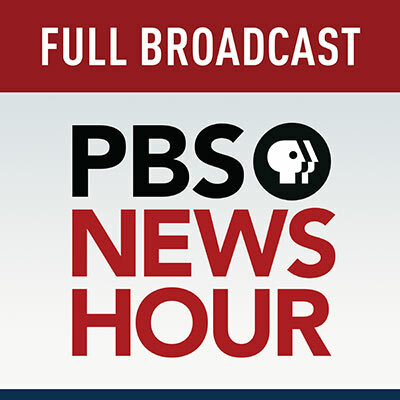 Also: Violent weather rips through parts of the South, the response to President Trump's attacks on Rep. Ilhan Omar, Democratic presidential candidate Andrew Yang describes his policy proposals, the week ahead on Politics Monday, a comeback victory by Tiger Woods, and Yo-Yo Ma on the power of culture. Thursday on the NewsHour, the arrest of Julian Assange renews questions about government secrecy and transparency. Plus: The implications of Julian Assange’s arrest, a successful coup in Sudan, rebuilding in the Florida Keys after Hurricane Irma and in the Midwest after major floods, how Americans are handling tax law changes and a brief but spectacular take on the gig economy in a rural area.